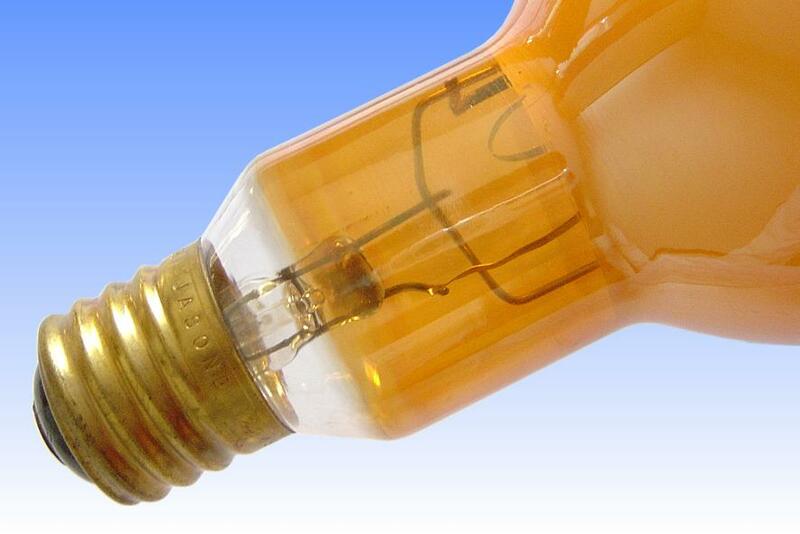 So-called 'Caution Yellow' mercury lamps were marketed during the 1950's and 60's to provide an alternative colour light source for street lighting. Owing to the greater number of accidents occurring at intersections and bends, it was decided to change the light colour at these locations to improve driver alertness. 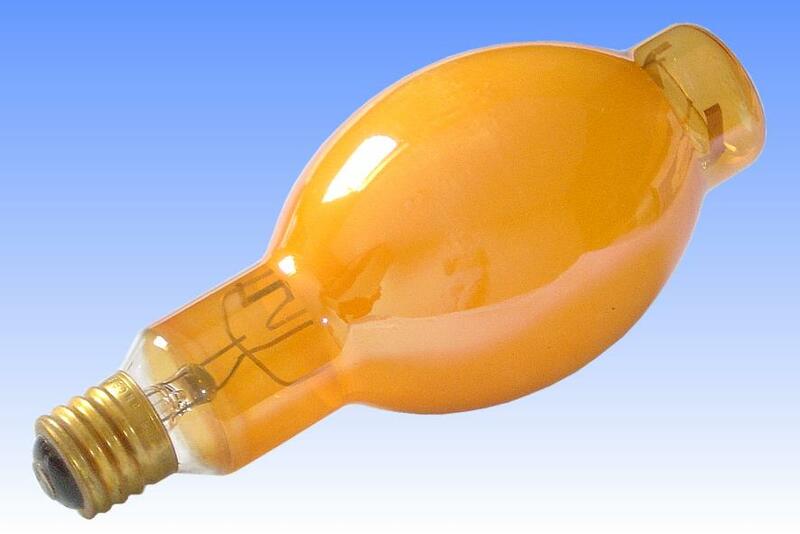 Indeed a strong link was proven, and a market was created for this yellow mercury lamp. The coating serves to filter out the blue mercury lines and some of the green, giving a light having a strong yellow colouration but with a reduction of some 40% in efficacy. The concept was pioneered by Sylvania around 1957, whose lamps employed a simple yellow coloured internal powder coating, in place of the usual phosphor. 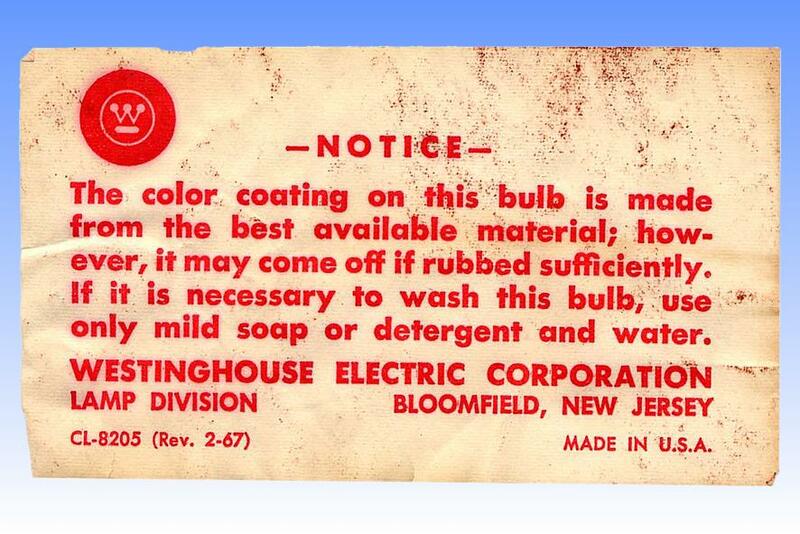 Westinghouse soon followed suit with an external yellow lacquer instead. 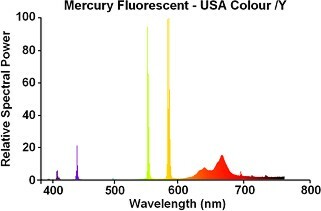 Shortly afterwards that company released the improved version illustrated here, which combines that coating with an internal phosphor layer of magnesium fluoro-germanate, adding some red light to the spectrum to compensate for the strength of the mercury green line. However the coating was notable for being easily scratched off and had a tendency to darken with age. 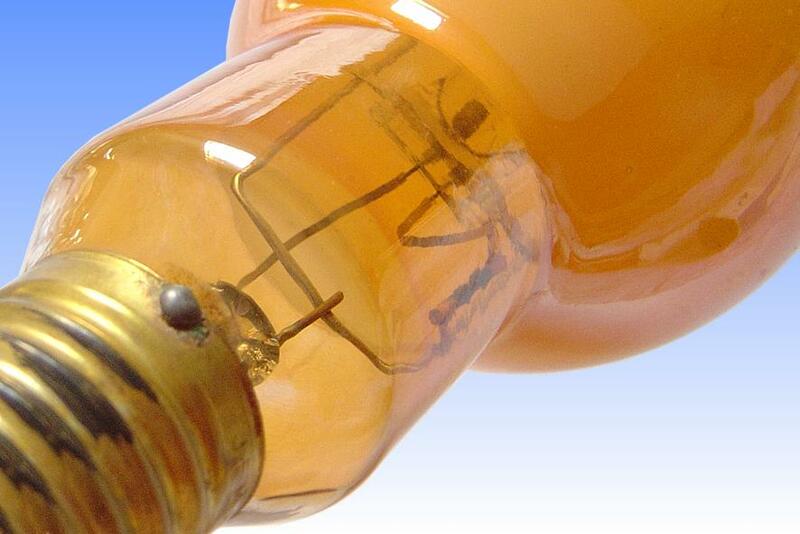 GE lamps became available in 1960 and benefitted from a much tougher external yellow ceramic glaze. 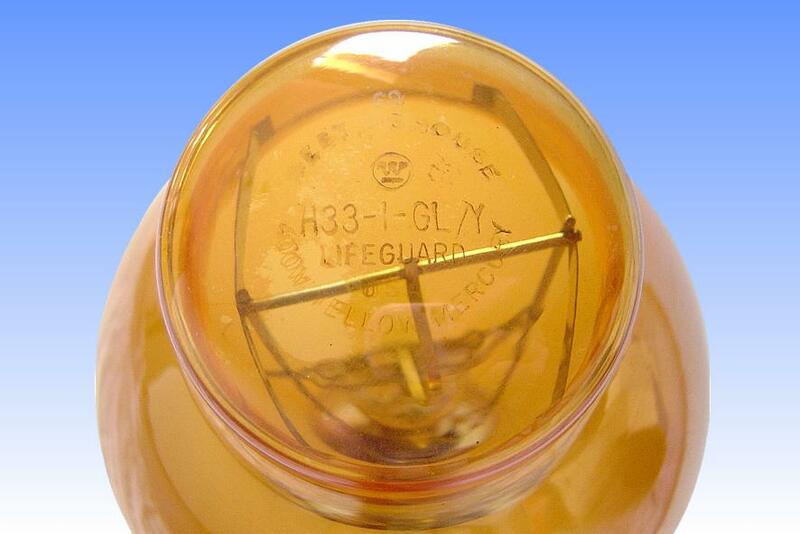 A number of European versions were made wsith yellow lacquer and also in natural coloured glass, such as this Osram HQL/5 lamp. The lamps provided a good colour contrast against mercury lighting, but met their demise in the 1960's when high pressure sodium lamps became popular and performed the function more efficiently. They were delisted in the 1970's. 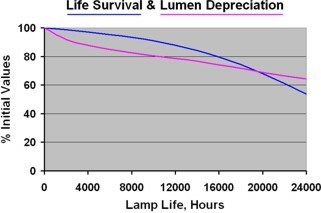 References: 1) Spectral measurement of lamp.